We can never deny the fact that we all want an attractive and relaxing type of bathroom. And we can say that some people tend to spend more than an hour inside the bathroom just to feel comfortable and satisfied. So we may deserve to have well-decorated bathroom that will provide us the refreshing and comfortable feeling. 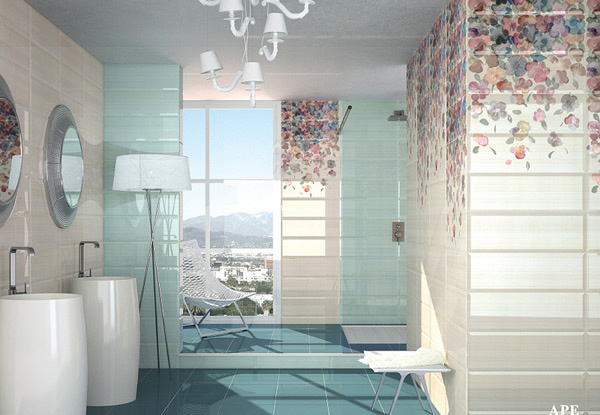 To achieve the best decorative bathroom, many designers are using the different kinds of tiles. Now we will see how the designers applied their artistic skills and talents in designing while using the different decorative tiles that will suit the bathroom. 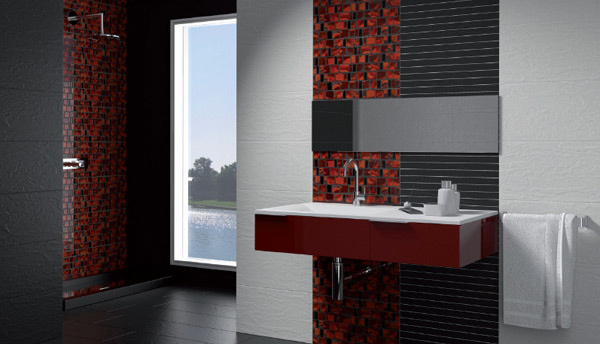 Indeed that most of the modern and eclectic bathrooms are using tile ideas, ceramic tiles and mosaic tiles simply because of its excellent quality. 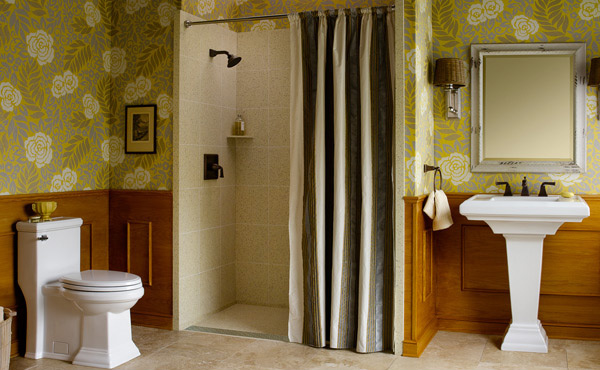 There are different patterns that may add life and beauty to your bathroom’s appearance. You may as well choose to use a single color, checkerboard pattern, decorative tile pattern, tile rug patterns, and glass or porcelain tiles or may be a combination of any of those mentioned patterns. 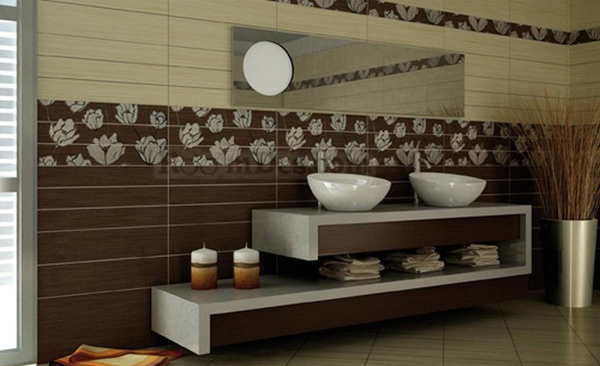 But today we will show you the different decorative wall tiles bathroom that may surely capture your attention. These designs may give you enough inspirations to apply these ideas in redecorating your bathroom. Now you may scroll down and check the images of the list of different Decorative Wall Tiles Bathrooms below. You may immediately notice the floral accent tiles in the wall of this black and white theme bathroom that effectively shows its elegance. 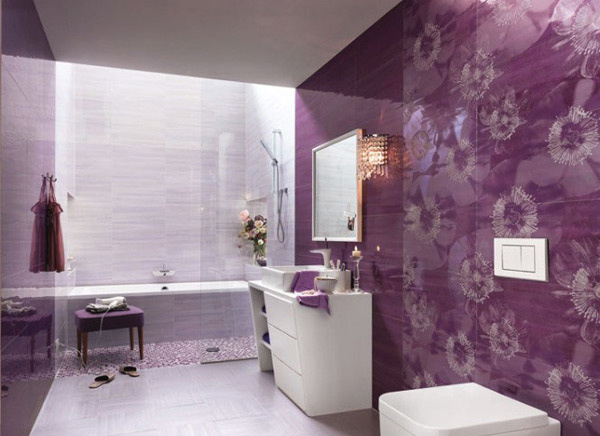 The color purple is perfect with white and the ceramic tiles used here by the designer. The yellow floral pattern tiles used in the walls are very efficient to couple with plain white and plain orange brown. This kind of bathroom is perfect for busy women who would like to free her from stress. 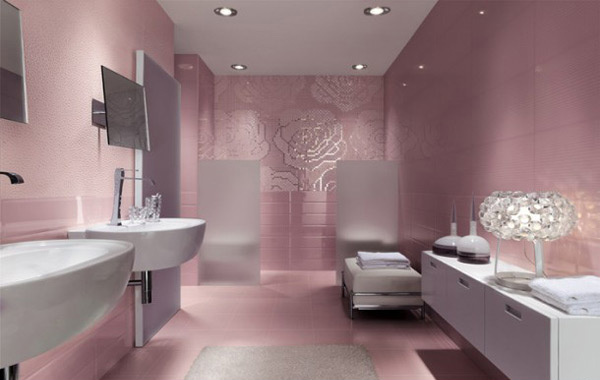 Let’s take a look at the pink ceramic tile pattern that was used here by the designer that is very attractive with the silver fixtures. The clean and smooth texture of these blue and white tiles becomes livelier when the designer applied this flower pattern. 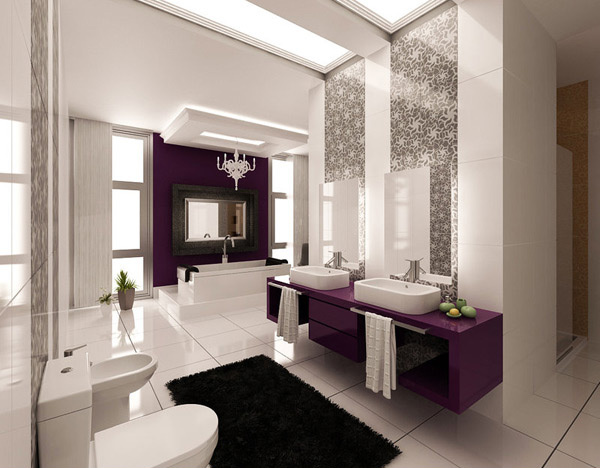 When you choose to apply the purple color in your bathroom make sure to combine it with white or other light color to maintain its balance. 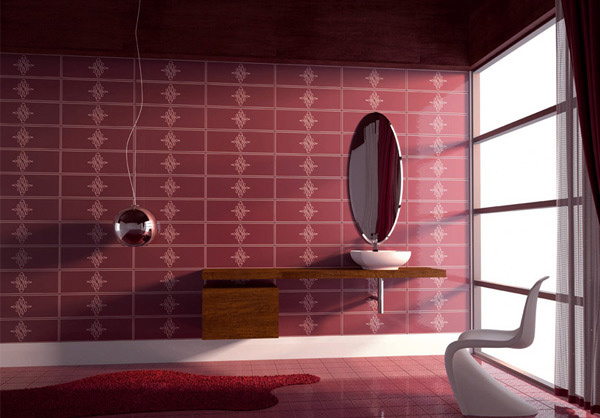 Red tile pattern used here is very helpful to provide the balance between the dark and light colors in this bathroom. Black tiles and green flowers pattern make this bathroom look luxurious. 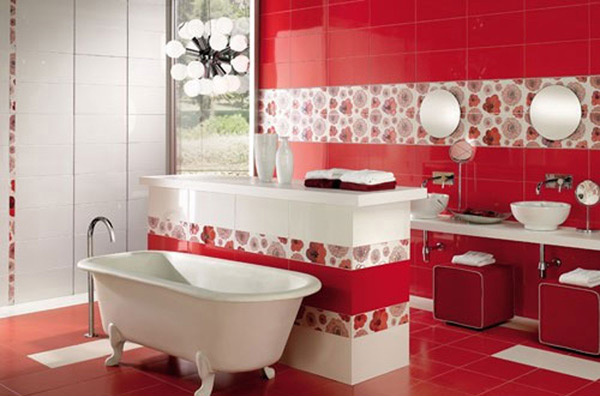 Plain red ceramic and mosaic tiles pattern is best for white and silver fixtures in this space. 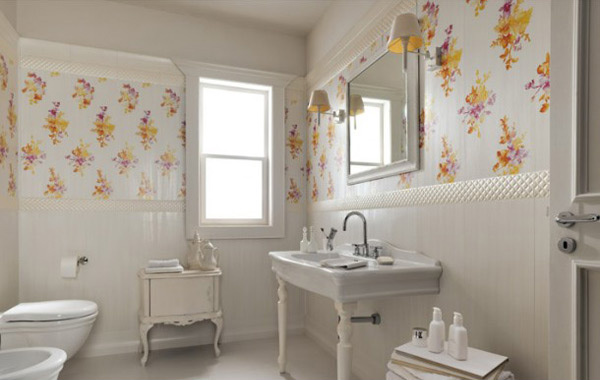 If you choose to have a plain white bathroom you may also try to use this kind of floral tiles designs in your walls. When you try to put some candle lights in the dark brown bathroom like this will surely present a more relaxing and romantic mood for the homeowner. Light brown and plain beige color is best for this gray fixtures and silver mirror used in this bathroom. The yellow floral accents stands out with this plain and smooth white floorings as well as the yellow flowers placed here. The purple sink is perfect for this decorative tile pattern used in the walls of this pink bathroom. Those tiles above are great additions to come up with a good bathroom theme. Yet there are many tile patterns that are less expensive and available in the market today that you may use for you to redecorate your bathroom. So if you think it’s about time for you to redesign and use your creative minds in improving how your bathroom looks like, you can go ahead and try to apply the ideas of the designers above. You can also check on more bathroom design inspirations here in Home Design Lover.